No Fenders -Formula 1, IndyCar and A Whole lot more..: 2 Days to G-O! This picture was taken some 98 Dazes ago, which coincides with rookie Alexander Rossi's car number... 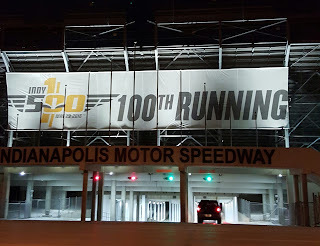 According to Thy Shutterbug, it's a banner hanging over the main entrance at Indianapolis Motor Speedway's (IMS) South Chute tunnel on some legendous' 16th Street. 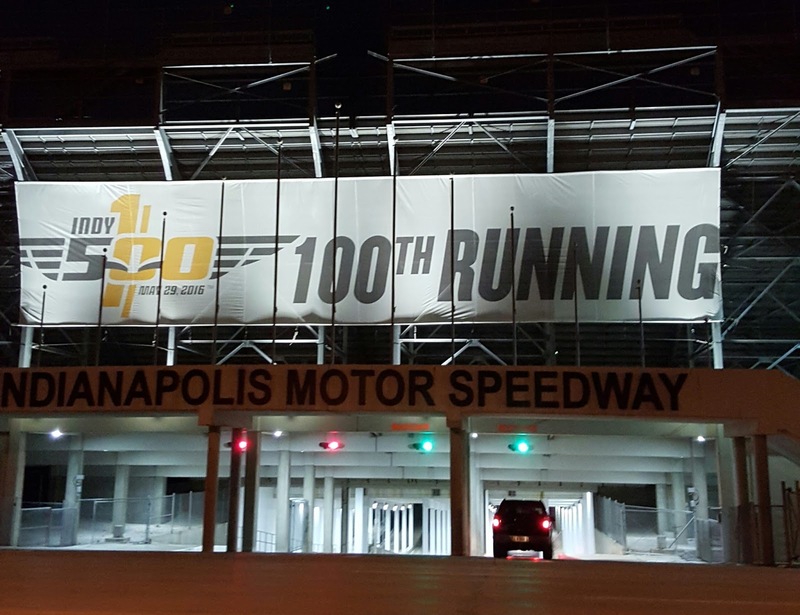 Photo was taken the celebratory night of the 100 days 'til the 100th running of the Indy 500.